Happy Earth Day Butterflies! I hope today finds you outdoors enjoying the sun and doing stuff to leave our Earth better than you found it. Want to turn Earth Day into a weekend? Join me at Daffodil Hill at New York Botanical Garden for Daffodil Celebration and Wine Weekend! 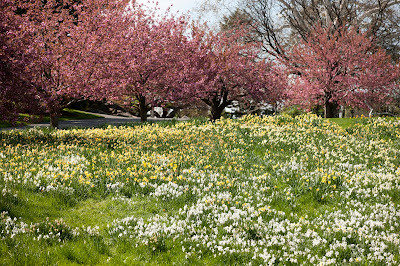 With 150,000 Daffodil Bulbs planted in November 2015, the display of flowering trees, the historic daffodil display at Daffodil Hill and New York State Vintners offering a wide variety of palate-pleasing local wines, and experts on winemaking and viticulture hosting demonstrations and discussions I can't imagine anywhere I'd rather be this weekend! This weekend is going to be a great weekend to be out and about and enjoying all New York Botanical Garden has to offer! 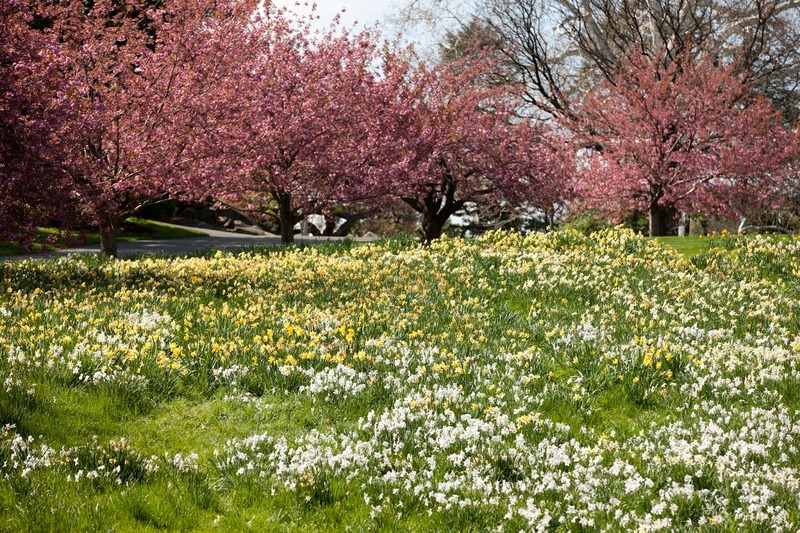 I plan to check out Daffodil Celebration and Wine Weekend and hope you will too, Visit New York Botanical Garden's website to learn more and purchase your tickets! How do you plan to celebrate Earth Day this weekend? FTC Disclosure: This is NOT a compensated Post, and as always ALL opinions are 100% my own! I am disclosing this in accordance with the Federal Trade Commission 16 CFR, Part 255 - Guides Concerning the use of endorsements and testimonials in advertising, you may check our Giveaway and Disclosure Page for additional information regarding Ascending Butterfly Disclosure. That sounds like it will be a great time. I'm a huge fan of spring and all the blooms that come out. It sounds like you are going to have a great weekend. I plan on spending tomorrow out in nature canoeing with friends. That sounds like so much fun! I have always wanted to visit the Botanical Garden in New York! Being outside in the spring is such a needed thing after winter, especially after all the snow has melted. Love those yellow Daffodils! absolutely beautiful! We moved into a new house last fall, and the previous owner was a huge gardener! It is exciting to see all her plants coming up and wondering what it is and what color! What a great weekend. I plan on taking the weekend off of work and getting the kids outdoors to do some neighborhood clean up for earth Day. Sounds like a great weekend. I plan on taking the weekend off from working and head out doors with the kiddos. I think some trash pickup is in order. I love botanical gardens even if I'm sneezing through it all the time. So pretty, I love spring! Sounds great that many people are planning fun on earth day. The weather by us was spotty but we made the most of it. This sounds like a fabulous experience! We will be spending the weekend galavanting with family. The Daffodil celebration sounds like a super fun event. My family will just be at the park. There's nothing better than being outside in all of Gods glory.I hope you have a blessed time. I went out with my husband tonight on a date. We sat outside on the patio and enjoyed the good food. Have a 2 weekend. What gorgeous daffodils. Earth Day is a wonderful time to celebrate the beauty we can help support by planting seeds and bulbs. I worked a bit more on getting the garden plot ready. I love to be outside! What a great botanical garden of visit and explore we have been to one to close to us and loved it! It's going to be a beautiful weekend, so I am going to start planting my garden. I think I am also going to buy an apple tree for my yard. What a gorgeous sight! I love spring flowers, daffodils especially, but they are gone too quickly! Wow, I never heard of it before. I know you are going to have a blast. I look forward to seeing all the pics. Oh wow, those flowers are so beautiful! Looks like a lovely time. So relaxing! Spring is my favourite time of the year and the flowers are so lovely. I hope you had a great Earth Day weekend. Oh my gosh as a photographer this is the type of location you dream about! What a gorgeous place to visit.